A charity is making a renewed appeal to help identify a mystery woman found murdered in a Kent forest 28 years ago. 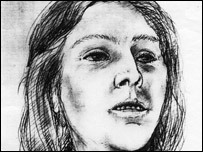 The body of the woman, who was aged between 30 and 35, was found in Bedgebury Forest on 23 October 1979. It is believed she may have come from eastern Europe and that she had had at least one child. A retired lorry driver from East Sussex was charged with murder after the case was re-investigated in 1999 and found not guilty at Maidstone Crown Court. Harry Pennells, then 75, of Ticehurst, East Sussex was cleared after a four-week trial. Despite a murder inquiry carried out after the body was found and the re-investigation in 1999, the woman has never been identified. She was white, about 5ft 1in, of thin build, with brown eyes and dark brown, shoulder-length straight hair. When found she was wearing black shoes, a floral dress and a black polo neck jumper. Charity Missing People said it had checked its records but no conclusive match had ever been made. "In most cases an unidentified person is also a missing person, so it is likely that this woman will have family and friends out there who do not know her fate," said spokeswoman Teri Blythe. "We hope that this appeal will bring some vital clues that will lead us to identify this body and put an end to someone's distress."